 Harvest Bible Chapel York Region seeks to obey these Biblical instructions by coming alongside people with love and support. Benevolence isn’t only about money – it’s about showing love, care, and support. It can take the form of helping someone write a resume and find employment, helping someone create a family budget and reduce costs, and much more. This document seeks to explain the benevolence ministry at Harvest. What are the biblical principles that we follow regarding how we are to provide benevolence? 1. We are commanded to work and provide for our own needs. This passage tells us that individuals are to provide for their own needs by working. An individual who we conclude is able to work but is unwilling to do so will not be considered for benevolence. Benevolence is not to enable laziness or create dependency. An individual will only be considered for benevolence if they have a consistent history of gainful employment and if they are willing to work. In addition, prior to being given benevolence, individuals will be encouraged to first get a second job or find additional ways to supplement their income, cut expenses and live within their means. An individual who receives benevolence and is able to work may be asked to provide volunteer labour at the church. 2. We are commanded to provide for the needs of our family and relatives. After providing for our own needs, we are commanded to provide for the needs of our immediate family and our relatives. Therefore before seeking benevolence from the church, individuals should seek financial help from their family/relatives as this is the biblical model. An individual seeking benevolence will be questioned about this. 3. Before benevolence is sought from the church leadership, we are to personally provide help to those who we know are in need. Bearing one another’s burdens and lovingly caring for one another should happen at the individual level before seeking help at the corporate church level. This is the biblical model. Therefore before we seek benevolence at the corporate church level, we should first provide any help we can ourselves. An individual seeking benevolence for someone else will be asked what they, themselves, have done to meet those needs. 4. Small groups are the primary means by which people in our church are cared for. Therefore, we should individually seek to help those in our small groups who are in need. We encourage everyone in our church to be part of a small group for love, care, discipleship and accountability. We believe that the Christian life is meant to be lived in community and we “do life together” in our small groups. In doing life together, we individually seek to care for the needs of those in our small groups. These needs can be financial, physical or spiritual, and we use the gifts and resources that God has given us to meet the needs of others. When the need is too great for us to meet individually we then seek help from others in our small group. Therefore the primary means of providing benevolence is at the small group level where we each seek to help those in our small group who are in need. 5. When the need is too great for the small group to meet, the small group leader should make their Flock Leader/Ministry Director aware of it. The Flock Leader/Ministry Director would then bring the need to the Elders. The Elders will prayerfully consider the request and make a decision. How much help is provided? There is no specific limit. However, as a church we do not provide a series of benevolence payments to someone. Otherwise the individual could be considered to be an employee of the church by virtue of them receiving funds from the church on a regular basis, and withholdings and information slips would need to be issued. Therefore, at the corporate church level we provide one-time benevolence gifts rather than a series of benevolence payments to individuals. Whenever possible, rather than providing benevolence directly to the individual, the church will make payment directly towards the need. For example, the church will directly pay a landlord or a utility company. In addition, to be proactive and to follow the Biblical model, we encourage people who are seeking benevolence to go through some coaching, which the church provides on a ministry basis. Contact the church office to request coaching. It is possible to receive a donation receipt for substantial benevolence gifts but for a receipt to be issued the gift must first be approved by the Elders and also meet all of the criteria stipulated in this document.